We're now well into April which has so far seen all the males in our household have a horrible stomach bug which has lasted throughout the whole school holiday. So, today I thought I'd talk about health. I'm here to share some of my favourites from the last month with you. This will be a new monthly segment of mine where I'll talk about products I've loved with a specific angle for each month. BetterYou's brand-new, Vegan Health Oral Spray has been awarded 'Best New Supplement' at this year's Natural & Organic Products Europe showcase, and I can definitely see why. A world-first, the Vegan Health Oral Spray has been formulated with four essential nutrients that are perfect for those on a plant-based diet. Launched in March of this year, the intra-oral spray contains scientifically substantiated levels of vegan-certified vitamin D3, vitamin B12, iron and iodine to really boost the supply of these vitamins and nutrients. 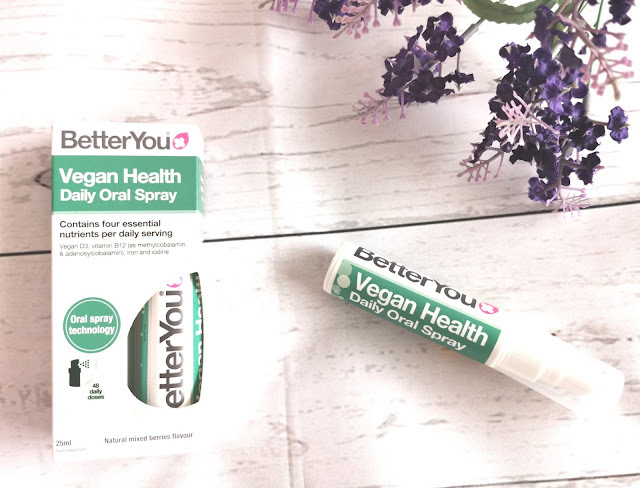 The BetterYou Vegan Health Oral Spray has a natural mixed berry flavour, and contains a 100% vegan friendly formulation which is designed to be absorbed through the inner lining of the mouth. A great alternative to tablets and capsules, and ideal for those who can't take tablets. You just simply pump a few sprays into the inside of your cheek and away you go. It is well known that poor sleep can have a dramatic effect on our health, but many people are unaware that a deficiency in magnesium can be one of the main factors directly affecting the quality of sleep we can achieve. The body needs magnesium to maintain a state of complete rest and low levels can lead to restless muscles that can keep you awake at night. I have experience with this as J struggles with restless legs and feet, often during the night, which can lead to a restless nights sleep for, not only him, but for me too. Magnesium Sleep Lotion delivers an expertly blended combination of Magnesium Chloride, to help relax tired muscles and Lavender and Chamomile, to slow sensory activity and quieten the mind. Together they promote a restful night’s sleep. This is also available in Magnesium Sleep Lotion Junior , which is the correct formulation for children, and supports a restful night’s sleep for your little ones. Joint pain affects over 10 million people in the UK. Causes vary but it is generally accepted that the gradual wearing away of joint cartilage tissue is a major contributing factor. Vie Magnesium Flakes contains high quality Magnesium (Hexahydrate) sourced from the Dead Sea origin. And it's so simply to use. You just, dissolve into your bath water, like you would a bath bomb, and then you can enjoy a therapeutic soak whilst your body does the rest. Magnesium helps to support joint and muscle health. It is also said to soften skin and maintain skin structure, strength and elasticity, and can be used for skin conditions such as eczema, psoriasis and acne - so a great all-rounder. For a full set, the Moroccan Hammam Spa Ritual from Vie Naturals contains Beldi Black Soap with Eucalyptus, Rhassoul Clay from the Atlas Mountains and Argan Oil, all sourced from Morocco for an authentic Hammam experience, one of the oldest cleansing traditions in the world. The Moroccan Beldi Black Soap is a cleansing gel enriched with eucalyptus oil to revitalise the senses, it works to cleanse and soften the outer layers of your skin in preparation for exfoliation. Then use the Rhassoul Clay which is renowned for its high mineral content, rich in silica and magnesium, the clay absorbs toxins and impurities whilst moisturising skin. It can also be used as a facial mask, cleanser and shampoo. Finally, finish with Menara Argan Oil. Rich in vitamin E, this nourishing body oil is used to soften, hydrate and moisturise nails, hair and skin. The Spa Kit includes an exfoliating kessa glove to help remove dead skin cells, toxins and impurities, and an ethically sourced coconut spoon made from the palm of coconut trees (a metallic spoon should not be used with the clay due to its reactive properties). Check at the end of this post for a chance to win a set of your own. When we think about health, I think we sometimes forget about our hair, but keeping this healthy can be hard work when you're using a lot of products and heat daily. Philip Kingsley has launched a sophisticated limited-edition Pomegranate & Cassis Elasticizer which has been based on the classic best-selling formula but is enhanced with the opulently fruity fragrance. A pre-shampoo and conditioner product, it has an invigorating scent of intensely rich pomegranate and captivating sweet cassis. Simply dampen the hair and then work in throughout the whole of your hair, and leave as long as possible. I find it quite weird to use a hair mask before shampooing, but this Elasticizer is amazing at what it does. Bringing extra elasticity, manageability, bounce and shine, without weighing the hair down, leading to less breakage and snapping. And if you are someone, like me, who uses a hair dryer, or other heated products, daily, then the Daily Damage Defence is my miracle product which is ideal. This award-winning protective conditioning spray adds elasticity and protects against daily environmental wear. The daily-use formula includes Almond Seedcake Extract which contains amino acids and proteins which bond to hair, strengthening each and every strand to smooth damaged hair and give fine or limp hair volume. Daily Damage Defence also includes Elastin, known to improve damaged hair, and also strengthen and repair breakages. The light spray repairs damaged hair, instantly detangles, provides heat protection, adds intense shine, boosts volume and improves manageability. We all know by now that the sun can cause us so much damage if we stay out in it too long. We all long for that bronzed skin, but don't want to take the risk anymore. Tancream has come up with a way to protect the skin, and give that gorgeous glow, without help from the sun. 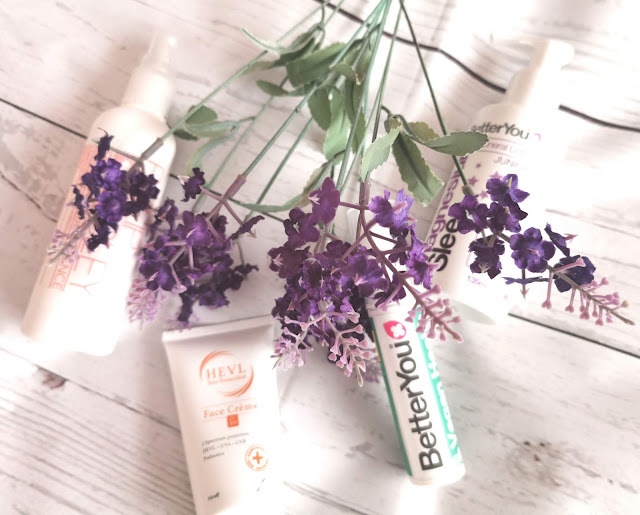 You can use it everyday as a face & body moisturiser so it gives you daily SPF protection, but it has the added extras of having a natural gradual self tan and an anti-ageing product. This daily defence has SPF 50 and Ultra UVA 5 star High Sun Protection to protect from long term damage. It has a gradual self tan built in, to give you an instant glow, and even skin tone whilst moisturising the skin, with this light non-streaking, fragrance and odour free lotion. For a protective face cream, HEVL SPF 50 Face Crème, can cover you from UVA, UVB and HEVL too. We all know that UVA and UVB sun rays damage skin but what is now so well-known is a third type of harmful ray called High Energy Visible Light (HEVL). HEVL are basically rays produced by daylight, whether it’s sunny or just light, these harmful rays can damage exposed skin. 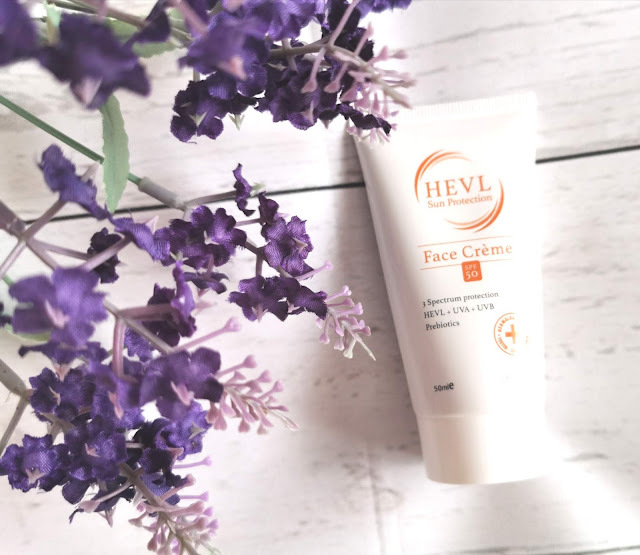 HEVL SPF 50 Face Crème is a light non-greasy face cream with a skin-coloured tint. FREE from MI, SLS, parabens and perfumes to give you that full coverage without compromising on your skin care. Getting extra vitamins and nutrients into your diet is always a must and Bioglan have just introduced a new range of SmartKids VitaGummies which features six chewy & delicious gummy supplement formulations to support healthy, happy kids. Happy Tummies VitaGummies looks after children’s gut health is essential for them to be happy, healthy and balanced. The gut is how we absorb almost all our nutrients. If the gut is healthy, our kids will absorb more nutrients from the food they eat. And Fussy Eaters Multi contains Vitamin A, C, D, E & Iodine plus a blend of hidden veggies in a delicious raspberry gummy which they will love to take. Healthy Bones VitaGummies comes in a delicious strawberry flavoured gummy and combines a unique blend of Calcium, Vitamin D2 and Vitamin K2 for healthy bone development. Whereas Healthy Eyes VitaGummies has a blend of Vitamin A, Lutein and Zeaxanthin to promote healthy vision. There is then also Iron VitaGummies which are the first Kids Iron gummy supplement in the UK. Bioglan Iron VitaGummies with Vitamin C are the perfect way to support healthy blood cells and energy levels – all contained in one yummy, orange-flavoured gummy. And Vitamin D VitaGummies compensates for a lack of sunshine in the winter months. A simple way to ensure children get their daily dose of the sunshine vitamin is with Bioglan Vitamin D VitaGummies. Formulated with essential herbs, vitamins and minerals, Vie Recovery Patches will naturally help your body to break down alcohol using transdermal technology to deliver their active ingredients into the bloodstream through the skin. These include vitamin C, green tea extract, globe artichoke extract, thiamine, taurine and chromium picolinate. Simply apply a patch to a clean, dry and hairless area of your skin before your first drink and you can leave the patch on for up to 24 hours. I find Argan Oil particularly effective. The Helv face cream would be excellent. I'd love to try the magnesium sleep thingamajig as it contains lavender, which I love. The magnesium sleep sounds like it will help me get a good night's sleep. The Magnesium Flakes, definitely. I have joint pain and I'm always looking for a natural way to help. The hair elasticizer is one of my faves. I would most like to try the Magnesium Sleep, as this would be great to hopefully aid my sleep when doing a night shift. I love essential oils, so the argon oil would be the perfect little me-gift! like the clay mask too, think my skin could do with a bit of tlc!